I am participating in an online class taught in another class by a former professor of mine. I am experimenting with his new web technology and also using the class as a sounding board for ideas related to my dissertation. This is easily done, by the way, because the course is about the Brontë sisters and identity. In other words, the only novel I haven't read is Charlotte Brontë's Shirley. Oh, well. One day. I have read the others multiple times, and I can say that Wuthering Heights is the book of genius. I love Jane Eyre, but when you consider the intricacies of Emily's story and the sheer depth of emotion and character of everyone in that book...well, in my opinion it is the better novel. Of course, others would disagree! Still, Emily's book, for most people, takes some effort. I mean, just keeping the cast of characters straight...as well as the generations and and narrators...wow. Charlotte Brontë is very readable, but I do find her pretentious at times. Don't get me wrong: I love Jane Eyre. I even liked The Professor (but, even though most others love it and consider it to be Charlotte's best novel, I really don't like Villette...I find it very disturbing and I get angry every time I read it). 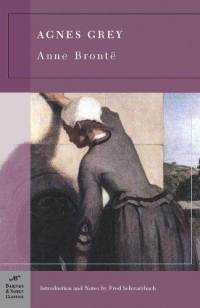 But as far as an easy read that still is important in the literary world, readers should invest some time in the often forgotten sister, Anne Brontë. 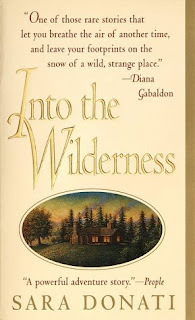 I read Anne's books quite quickly, though I enjoyed the experience very much, because I was preparing for comprehensive exams and had a huge reading list to get through. As I reread Agnes Grey, I am reminded of how much I enjoyed it, and the experience is so much better this time around because I can take my time. Because the online course is built for undergraduates, the reading is not overwhelming, so I am taking it by the schedule. The first assignment, due on Sunday, has to do with the first seven chapters of Agnes Grey. I started reading it last night...and, wow. If you have never heard of the novel, it is basically an exposé of the lives of nineteenth-century governesses. I really had forgotten how vile the descriptions of the children in the novel actually were...in fact, the Brontës, in general, are never very flattering in their descriptions of children. Charlotte hated teaching them, and this is shown in the portrayal of Adele in Jane Eyre. ALL of the children in Wuthering Heights are completely vile. And in Agnes Grey, things aren't any different. Like I said, this course is built around identity, so I have been thinking about the portrayal of children in these novels, because, obviously, our time spent in childhood greatly forms our identity. I don't know exactly what I would want to say about all of this just yet--the fact that children are vilified and seem to have identities out of control (not just improperly molded)--but I find it fascinating! There are so many discussions of children and childhood in this novel that, after slowing down in the reading process (what a luxury! ), I am seeing all kinds of things! In any case, if you haven't read Anne Brontë you should give her books a shot. Though Agnes Grey is about a governess, The Tenant of Wildfell Hall exposes Victorian domestic violence. 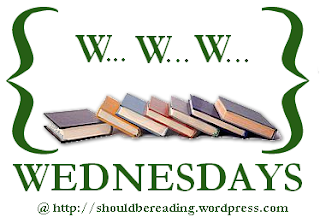 Both are amazing reads, and quite unusual (not to mention controversial) for their time. Anne Brontë is often the forgotten Brontë sister--but she shouldn't be! More to come about all of this as the semester progresses, I am sure! I love Wuthering Heights, and I've read Jane Eyre and really like it. I haven't read any of the others though. Great post! I feel like I always learn something when I read your blog. Thanks! Aw! Thanks, Amy! You should read Agnes Grey. Not a long one and very easy to get through compared to some other 19th cent. stuff. Enjoy! I love Anne Bronte's work. 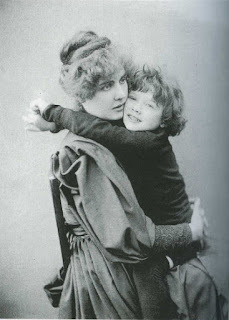 I recently read a little background information on her and its believed that she based the wild children on her experience of being a governess at Thorp Green. I haven't read Emily Bronte, I've seen the adaptation of Wuthering Heights, I normally don't base my opinion on a novel by only the adaptation as I know they're now always true to the book but I just found it too passionate and violent. I do want to read Emily's poetry though. It's a shame that Charlotte hadn't focused Villette a little more. It's based so much on coincidences and she gets very bitter towards Catholics in some parts, Lucy Snowe is such a secretive heroine too. It's a unique characteristic how as a narrator she hides information-- like recognizing John Graham. Thanks for leaving such a great and thoughtful comment! I appreciate it! Yes, Emily's work is very violent--esp. "Wuthering Heights." Also, I am relieved to see that someone else sees flaws in "Villette"! So many people I know think that the novel is wonderful. It is a good novel, but it still isn't my favorite Bronte novel.